This week Tain2Game spoke with Steven Herod in regards to his student studio Heresy Studios. 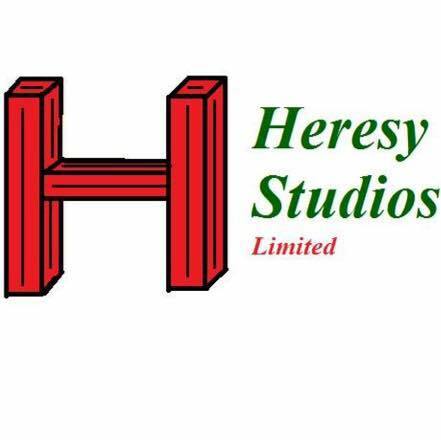 Heresy is a student studio, made up a majority of Train2Game students. It’s working on multiple projects and operating an ‘all welcome’ policy when it comes to recruiting new team members. The team are great advocates of ‘learning through doing’ and have recruited many team members through the offer of creating portfolio content. Train2Game spoke to Steven about what the team are currently working on, recruitment and what Heresy has planned in the future. This entry was posted in 2, Developer, game, games, Games Developer, job, Jobs, Student, train, train 2 game, Train2Game, www.train2game-news.co.uk and tagged 2, game, Games Developer, games industry, Heresy Studios, Steven Herod, Student Studio, train, Train2Game, Video Games by Train2Game Blogger Team. Bookmark the permalink.